Wrapping service is one of our nationwide most wanted services. The most important thing when planning to wrap your vehicle is to find the best installation crew. If the installation team that performs wrap services is not right, the results won’t be right either. Graphic Installation provides expertise and years of experience in vehicle wrapping services. Our crew is versed in vinyl car wrap service, boat, truck, van, and trailer wrapping. You can leave your pet vehicle or an entire fleet with us and we will wrap it to perfection! They will be in safe and experienced hands. If you were ever wondering can car wraps be removed, the answer is – absolutely! However, it is crucial that the removal is done by experts. When you decide to rebrand your fleet, that is already wrapped, we can do it with all the care needed for a successful job. You won’t even have to ask: ”How long does it take to install a vehicle wrap near me?”, because we are the record breaker. We will not only do the quality car wrap fast, but in the end, your fleet will stand out, and get all the necessary attention. Well experienced in working with vehicles of all sizes and shapes, we can wrap your car, cover fleets, and not just fleets, but legions of vehicles. Once you give us a detailed explanation of what you would like to achieve, we will make sure your commercial fleet gets a unique vinyl wrap installation and your business stands out when the installation is finished. No matter if you have just one car or an entire fleet that requires car wrapping service – we can do it. Contact us in order to get a vehicle wrapping service time and price estimate. If you are not sure what kind of wrap services you need, we are here to help and walk you through the process and options we offer. Our wrapping cars packages are well priced and they vary depending on the kind of materials you would like us to use. 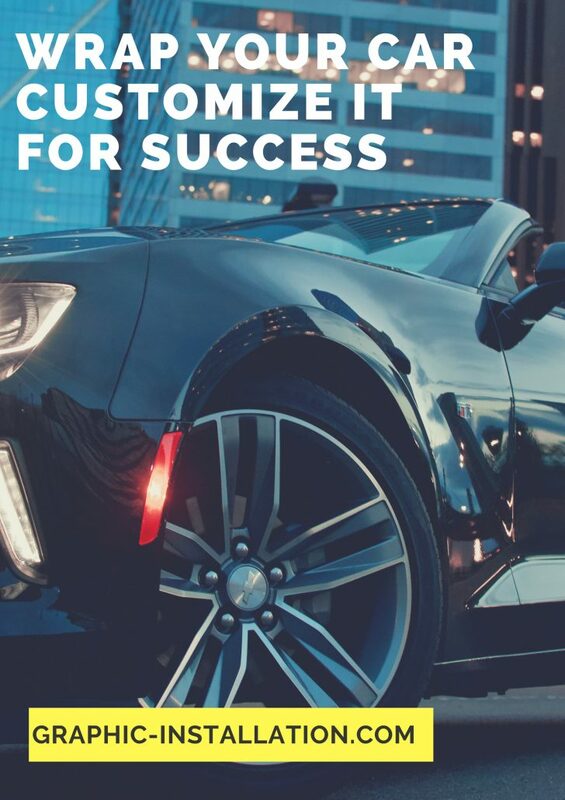 Regardless of which car wrapping service package you decide to use, know that wrapping a car will bring a lot of exposure to your business or services. It’s money well spent, so don’t dwell on questions like how much does a car wrap cost. What we are set to do is making sure we deliver a quality car wrap service and make the best of it, at affordable rates. Completing a wrapping service with us is money well spent. If you thought that choosing the best car wrap graphic design or partial wrap was the hardest thing in the process – think again. It is crucial that the car wrap is done professionally. All the hard work can go to waste if the wrap is not applied properly. Our team is at your disposal – if you need to get rid of the old wrap or get a new one that will last as long as it possibly can. Wrapping a car is the smartest move you can make. This way, your vehicle is protected from harsh weather conditions. One of the perks of installing vehicle wraps is that they also provide your vehicle with a brand new look. It’s the best investment you can make. With vinyl wraps, you will fully use the vehicle space for boosting your business and giving it a much-needed exposure. Vehicle wrapping is one of the best ways to promote your business. Graphic Installation offers vinyl vehicle wrapping customized packages for businesses and vehicles. We provide the best vehicle wrap cost that guarantees the best value for the money invested. The most important thing is — we never compromise on the quality of our vehicle body wrapping services. This is the perfect way to maximize your business’ visibility without interrupting your daily operations. We are fully committed to organize our wrapping service around your business schedule and explain the process of how to wrap a car. Keeping your fleet off the road is something that can harm your business. We know that when you decide to make this smart investment, you will search for ”vinyl wrap car near me”, but be careful. Not everyone who is closest to you will do the best job possible. Wrapping service can be a tedious job for some. Our expertise, knowledge, flexibility, professionalism, and commitment to our clients make us the best option for you. Grapic installation crew is based in New York, New Jersey, and Boston, but we happily go nationwide and efficiently complete wrapping service projects. Can you wrap a car with scratches? Can you wrap a car with bad paint? How long does a vehicle wrap last? Where can I find a car wrap service near me? These are a couple of the most frequently asked questions we get. Graphic Installation crew is here, available to make your project a success. Graphic Installation car wrapping service offers something that is close to magic when it comes to vehicle wrapping. Yes, we can hide the scratches up to some point and hide the bad paint, or at least make it more pleasing. But don’t make a mistake, it’s not because of the vinyl – it’s because of our team’s work. 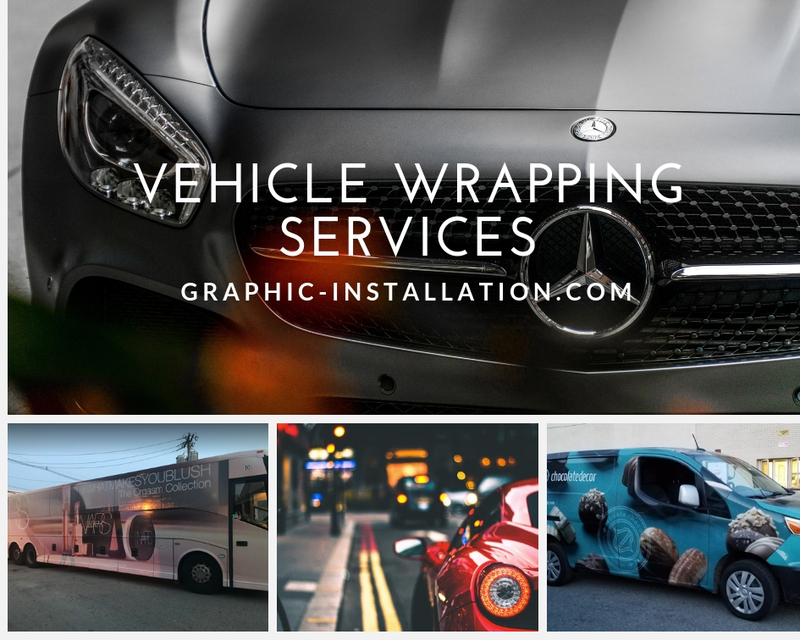 Plus, our wrap services are available anywhere in the U.S.
With years of experience, and matriculate application, our team is a true miracle worker in vinyl wrap service. If you already have a fleet or a vehicle with an existing wrap that you would like to change – we’ll do the removal and keep you up to date with the state your vehicle is in. Our team will suggest the next vehicle wraps steps that will prolong the lifespan of your car and future wrapping installation. We will always do our best to find the solution that will fit your budget and still have an impact needed to boost your business or services. Have your ideas shine in the best possible light. Without a high-quality installation, even the best designs can fail. Make sure you find the best possible set of hands for that last step. To wrap it up, here are a couple of reasons why you should pick our vinyl wrap service. Fast delivery, uncompromising quality, and affordable prices are the main reasons our clients come back to us. We offer vehicle branding and rebranding and wrapping up all kinds of vehicles in all shapes and sizes, including car wrapping services. It can be one vehicle or an entire fleet. One of the perks you can enjoy with our company is that we offer a nationwide installation service. We are most proud of our team of professional and experienced installers that always perform meticulous, expert work. They always, without exception, succeed to perform a small miracle. Contact us or call us at (888) 888-5715 to get your customized assessment and advice on which vehicle wraps package will work the best for you. Our team will be happy to assist you in choosing the perfect package. This package will fit your needs and, most importantly, your budget, guaranteed. You will get high-quality vehicle wraps, NJ, NY, and in other areas across the U.S. Positive outcome will boost your business and give it much needed attention. See why our customers keep coming back to us. It’s because of the trust and expertise we offer.